As many educators know, students often come into a classroom ranging below or above a certain grade level. Even the most experienced of teachers find this disparity challenging. Self-paced and differentiated learning can help strike a balance among student grade levels, but the question becomes what specific strategies will guarantee success? 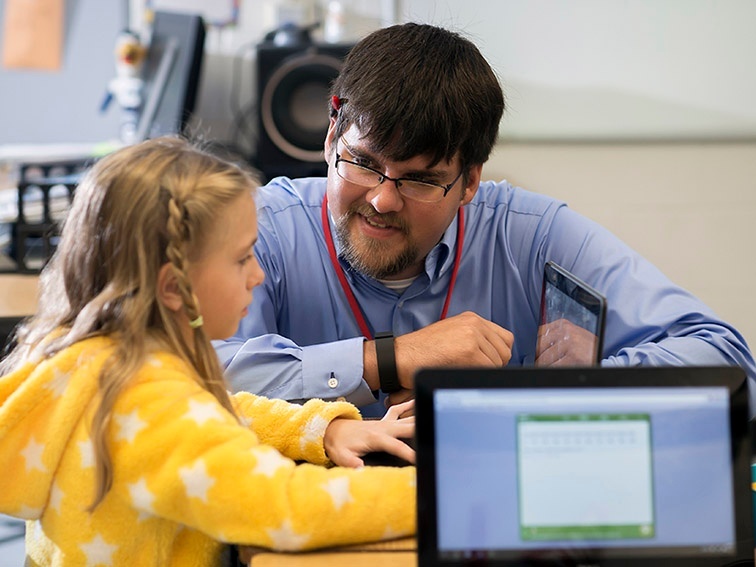 In my two years of teaching fourth-grade math and science at Screven County Elementary School, I have defined success as the moment students are confident enough in a subject to help other students. Through differentiated instruction methods, I encourage students who are on the enrichment path of learning to take on a leadership role among their peers. In a nine-week period, one student advanced from a fourth-grade to 4.6. grade level. Because he understood division and fractions, I placed him as the leader of a student group with no prior knowledge of this concept. Student leaders promote a collaborative classroom environment and often motivate lower grade-level students. In addition to the Chromebook, to identify leaders and track the learning progress of my students I also use the instructional tool MobyMax. The integrated K-8 curriculum delivers targeted instruction based on each student’s individual needs. Real-time progress monitoring enables me to track each student’s mastery of key concepts, and students stay engaged and motivated by making rapid progress, earning badges and competing in classroom contests. Although students learn individually with MobyMax, the system also offers opportunities to organize collaborative learning. Technology engages students in peer-to-peer discussions as well as one-on-one discussions with myself as the teacher. Plus, data from MobyMax specifies which students are doing well in a given subject and which ones are struggling. Monitoring student learning progress is essential to ensure that differentiated learning improves achievement. This information can also inform strategies for small-group instruction. I am able to organize students based on ability, balancing out those students who can act as learning leaders and those who need help from their more advanced peers. The dynamics within these small groups promote student-led discussions. Student-led discussions work because they spark confidence in those students who are able to speak to a new subject. Lower grade-level students benefit from these discussions as well because they are often inspired by the learning ability displayed by their peers. While many educators identify differentiated learning as a method to cope with grade-level gaps among students, I have found that implementing specific differentiated instruction strategies obtains consistent results. In my classroom, student-led learning has proven effective in improving the learning progress of the class as a whole. Students at varying abilities mutually benefit from leading one another in the learning process. Derek von Waldner is a fourth-grade math and science teacher at Screven County Elementary School in Georgia.